All the trendy earrings are in one set! You don’t need to add new jewelries!! These two items are suited for office and casual outfits. These match any occasions and styles. These are ideal for elegant occasions. Cotton pearls are incredibly lightweight. Therefore, you can wear pearl backs as earrings. Even in the big size, the total weight of earrings is only 3 g (0.106 oz), amazing! It is commonly seen double pearl earrings around you, but have you ever seen double cotton pearl earrings? These are really rare item. Cotton pearls are popular in Japan and manufactured in Japan. 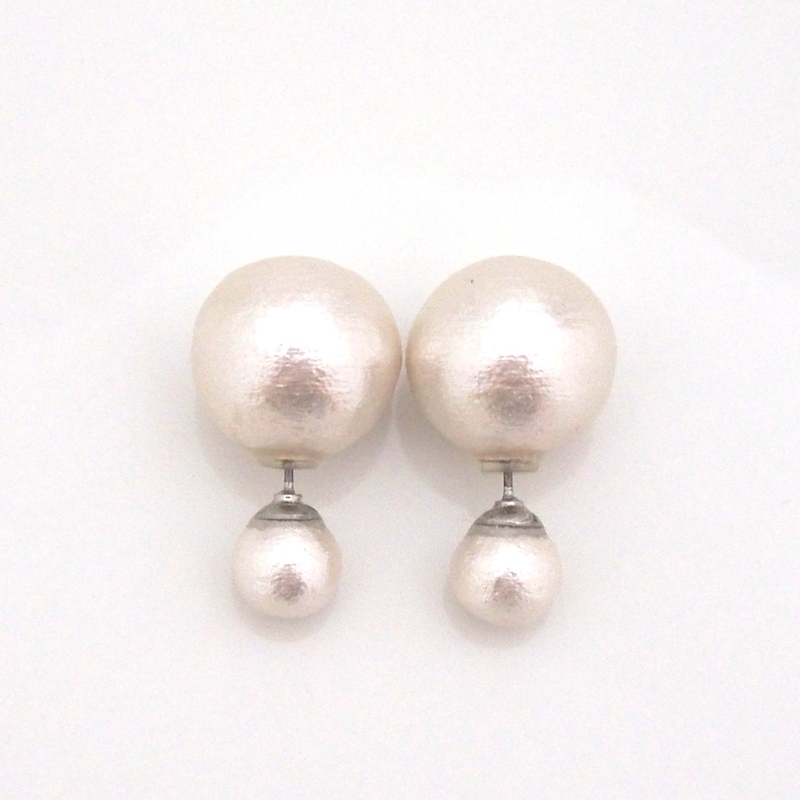 So these classy and vintage like pearl earrings are hard to obtain outside of Japan. Now that these are available at MiyabiGrace and ready to offer you. I am pretty sure that these earrings are impressive and eye catchy. These earrings are handcrafted by me with love. You can choose crystal colors from crystal, violet and amethyst. Titanium earrings for sensitive ears are used for all the earrings and a pair of titanium backs comes with this set. Another color light beige, light orange, pink and rich green black are available. Next > Are you looking for impressive and lightweight large cotton pearl necklace for elegant occasions?